When people rely on technology to remember for them – counting on the camera to record the event and thus not needing to attend to it fully themselves – it can have a negative impact on how well they remember their experiences. The research was carried out in museum to learn the effects of visitors’ memories of what they had seen. Participants were given a tour and asked to either photograph exhibits or simply try to remember them. When their memories were tested the following day the results showed that the photographers were less accurate in recognizing objects and memory of detail was poorer compared with those who had only looked at them. However in a follow-up experiment participants were asked to take photographs of specific details in objects by zooming in on them. In contrast to the previous experiment the recall for detail was preserved, not just for the part of the object in shot but also for other details out of frame. So the conclusion here is that photographs do preserve memories if we take the time. This research fits in with what we know about learning in that the deeper we process information the easier it is to recall. So for instance it is more difficult to remember a list of random words than the same number of words that have been organized by category first. It also reminds us of the value of goals. Where the participants had a more specific goal they engaged at a deeper level with the subject. Active learning is always more effective that passive learning. Setting your own goals is better letting them be set by chance. In a previous post I discussed how to get the most out of a self-help book. The key recommendation is to actively engage with the material rather than just passively reading the book. Most of my work in academic coaching helps clients to tap into the fundamentals of human psychology and employ active learning techniques. And so to mindfulness the state of fully experiencing the present moment. The research on photo-taking impairment effect hinges on the level of engagement the participant has with the subject material. There is a great lesson in the research for life in general: take your time, create balance in life, have a goal, be actively present and focus on what is really important. With advances in digital photography the temptation is to ‘point and shoot at anything that moves and anything that stays still! The result is that we amass lots of pictures we never look at again. In the past people would decide whether to take on holiday a camera film with 24 or 36 shots. Today that would barely a few minutes. 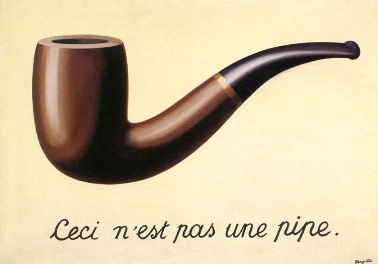 The famous painting by René Magritte “Ceci n’est pas une pipe” (“This is not a pipe”) is a reminder to us that photographs are not memories. Photographs are representations of memories. It is important to have the experience as well as click the camera shutter. With mobile (cell) phones and digital cameras the temptation is to use the device as a companion rather than engaging with ‘real-time life’ and people who are present. So before you whip out your camera or reach for your mobile consider the balance between ‘capturing the moment’ and ‘being in the present moment’. Working as a psychology lecturer I routinely encounter students who don’t make connections between different aspects of psychology. Working as a (life) coach I often encounter clients who don’t take stock of their transferable skills. Now, the first time I attended a meeting of the Professional Speakers Association I was asked ‘Have you done any public speaking?’ My knee-jerk reaction was to say ‘no’. At the time I had over ten years experience in teaching, I’d fronted media campaigns, appeared on radio and television and yet I still said ‘no’. In my mind I obviously didn’t class any of this experience as public speaking. Sometimes we keep aspects of our life and experience in discrete ‘little boxes’. This may have an impact on how we view change and new challenges and our ability to cope. How to You Deal With Change? Consider the following questions relating to how you made previous changes in your life. Get a sheet of paper and write down your answers. Knowing yourself as you do, what pattern, routine or process do you usually go through to make changes in your life? What are the steps you go through in your decision making process? With whom would you normally confide when considering making changes? What things would you discuss with them when considering making a change? What considering change, what attitudes did you have that helped make it happen? Of all the strategies you have used in the past to make changes, what do you think might be the most helpful in handling the situation now? Take time to answer them fully. It doesn’t have to be a major change, in fact, think of all types of change from switching brands of fruit juice to changing jobs. How to Cope with Challenges? Now spend some time considering previous challenges and successes and answer the following questions. Again take time to consider the questions fully and write down your answers. Despite the challenges you encountered, how did you manage to persevere? How did you cope? Where do you get the determination when others might have given up? Knowing yourself as you do, what attitude to previous challenges did you have that helped make it through? Considering a previous success, despite the challenge and the circumstances, how did you manage to succeed? What is it that enables you to get through challenges and succeed? What personal qualities, strengths and skills enable you to get challenging times? What would a supportive close friend, partner or family member say are your qualities that help you get through challenges? Making an inventory is a key strategy in solution-focused thinking and one of the things I work with clients to do in (life) coaching. When we become stressed we go into survival mode – fight or flight – which limits our perception of the options available to us. Considering our options and writing down the answers means it is more likely we will recall how we coped with past challenges and how we dealt with change. It is a key confidence building strategy. Whenever you are faced with challenge and change, it helps if you begin by taking a few long slow deep breaths to lower your stress levels. You are then better placed to take a broader view and consider your transferable skills, strengths, skills, coping mechanisms and past successes.